178 pages | 19 B/W Illus. The history of western notions about Islam is of obvious scholarly as well as popular interest today. This book investigates Christian images of the Muslim Middle East, focusing on the period from the Renaissance to the Enlightenment, when the nature of divine as well as human power was under particularly intense debate in the West. Ivan Kalmar explores how the controversial notion of submission to ultimate authority has in the western world been discussed with reference to Islam’s alleged recommendation to obey, unquestioningly, a merciless Allah in heaven and a despotic government on earth. He discusses how Abrahamic faiths – Christianity and Judaism as much as Islam – demand devotion to a sublime power, with the faith that this power loves and cares for us, a concept that brings with it the fear that, on the contrary, this power only toys with us for its own enjoyment. For such a power, Kalmar borrows Slavoj Zizek’s term "obscene father". 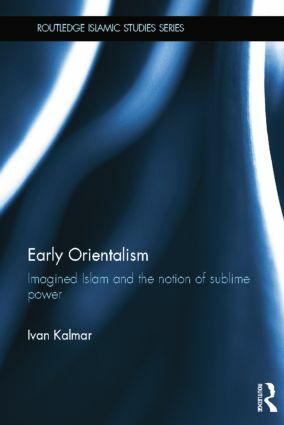 He discusses how this describes exactly the western image of the Oriental despot - Allah in heaven, and the various sultans, emirs and ayatollahs on earth – and how these despotic personalities of imagined Muslim society function as a projection, from the West on to the Muslim Orient, of an existential anxiety about sublime power. Making accessible academic debates on the history of Christian perceptions of Islam and on Islam and the West, this book is an important addition to the existing literature in the areas of Islamic studies, religious history and philosophy. Ivan Kalmar is a professor at the University of Toronto, Canada. His main work has addressed parallels in the image of Muslims and Jews in western Christian history. This broad ranging series includes books on Islamic issues from all parts of the globe and is not simply confined to the Middle East.